This week’s press releases from TIFF saw the announcement of dozens of films, spanning across multiple programmes. The Gala programme saw 7 films added and the Special Presentations saw 17 additional titles revealed, contributing to a slate that now boasts some of the most anticipated films of the year. The Contemporary World Cinema, City to City Spotlight on Seoul, South Korea, and the inaugural Short Cuts International all saw expansion as did the TIFF Cinematheque programme, the Wavelengths programme, and the Future Projections programme. In total, over 100 feature films and 60 short films were revealed. The Gala programme has added Sundance hit Laggies, about a 28-year-old woman in the midst of a quarter-life crisis befriending a high school girl and her father, starring festival sweetheart Keira Knightley, Sam Rockwell, and Chloe Grace Moretz (also co-starring in previously announced Gala The Equalizer). Also expected to be buzz-worthy is Boychoir, about an orphaned 12-year-old boy sent to a prestigious music school who struggles to overcome his troubled past and realize his extraordinary musical gift. The cast, which includes Dustin Hoffman, Kathy Bates, Josh Lucas, Debra Winger, Eddie Izzard, and Glee’s Kevin McHale, are sure to delight on the red carpet. John Travolta’s latest film, The Forger, will also be having its World Premiere in September. It tells the story of an art prodigy and petty thief who buys his way out of prison in order to spend time with his ailing son. In order to pay back the syndicate that arranged his release, he must team up with his father for one last job. This one also stars Christopher Plummer, and rising star Tye Sheridan (seen in last year’s Joe with Nicholas Cage). The Special Presentations programme saw new films added for Arnold Schwarzenegger, Kristen Stewart, Adam Sandler, and Kristen Wiig. Schwarzenegger’s film, Maggie, sees him play a Midwestern farmer who stays by the side of his teenage daughter as she becomes a cannibalistic zombie. Kristen Stewart will be bringing Cannes Film Festival favourite Clouds of Sils Maria, the latest from director Olivier Assayas, also starring Juliette Binoche. Stewart plays Valentine, the personal assistant to Maria Enders (Binoche), as she seeks to regain the passion and confidence in her acting that she had 20 years ago after she is asked to perform in a revival of the play that made her famous. 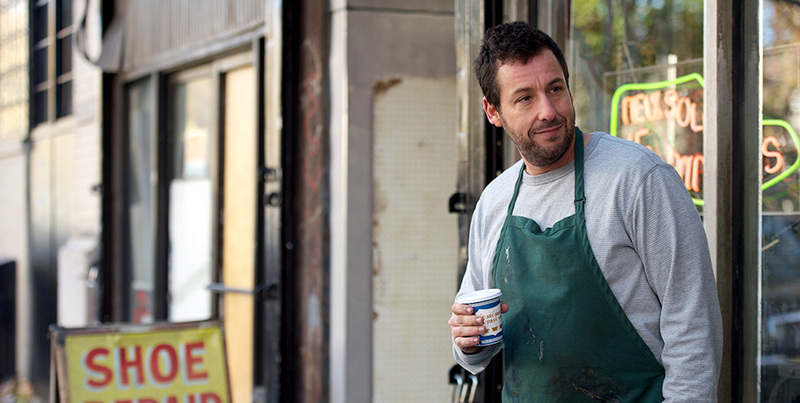 A film that seems to have gotten people talking early is Adam Sandler’s new film The Cobbler. In a rare dramatic turn, Sandler plays Max Simkin, a shoe repairman working in the New York shop that has been in his family for generations. Frustrated by the daily grind of his life, he discovers a magical heirloom that allows him to step into the lives of his customers. Kristin Wiig has been gravitating towards more dramatic roles lately and her latest, Welcome to Me, sounds promising. Wiig stars as a woman with Borderline Personality Disorder who wins the lottery, quits her meds and buys herself a talk show where she creates segments exclusively about herself. Sure to have dark comedic undertones, the film examines our culture’s obsession with celebrity and narcissism. Also screening in the Special Presentation program is Pride, starring Bill Nighy, Imelda Staunton, and Dominic West, which is sure to be a crowd-pleasing hit and that has already elicited talk of a possible People’s Choice Award win. Inspired by a true story, the film follows a group of gay and lesbian activists that band together to support the families of striking miners in 1984 England. As the strike continues, the two groups come to realize that they are stronger when they stand together. Now in its sixth year, the City to City programme this year shines a spotlight on Seoul, South Korea. Some of the best cinema in the world over the past decade, especially in the action and horror genres, has been coming from this country. In what promises to be a display of exciting and adventurous works by contemporary directors, the crop of films announced for this program is sure to continue this impressive tradition. The Contemporary World Cinema promises to showcase some of the best films from around the world. This programme also features the Contemporary World Speakers series. Five films have been selected to have an extended Q&A period with renowned guests, discussing the importance of the issues raised in the films. These sessions always promises to offer intelligent conversation and thoughtful ideas. New to the festival this year is the Short Cuts International programme. Similar to the Short Cuts Canada programme, five programmes have been assembled featuring the best in short films from around the world, exploring a wide-range of themes and topics. This Fall, expect to see a lot of Adam Sandler, Adam Driver, and Chloe Grace Moretz, each with 3 films screening over the duration of the festival. Rumours are circulating that the Festival would like to pay tribute to the work of Bill Murray by honouring him with a Gala of his new film St. Vincent. We find out next week if there is any truth to this, as we stay tuned for more film announcements when TIFF rounds out the remaining programmes and completes the line-up. Also announced next week, August 19th, will be the Guest List and the Official Schedule. Get ready to start your planning, less than one month to go!